Last week we held our Joan Clarke Maths Residential with 30 female A-level students from all over the UK. Judging by the students’ comments, it was a great success! running from 1 – 4 September 2015. We will give 30 girls the opportunity to explore the differences between Maths, Physics and Engineering at University, so they can make a more informed choice about what they might want to study. Newnham is an all-female College, and apart from learning about what might await you in a mathematics or physics or engineering course, the participants will also get to know the College and what it has to offer. We will also include admissions information for applications to Cambridge, and some fun activities to get to know Cambridge. For more information on this Joan Clarke Maths Residential at Newnham, please email slo@newn.cam.ac.uk, with Joan Clarke Maths Residential as the title of your email. Details of how to apply will then be sent by the end of May. Joan Clarke was a Newnham Mathematician. 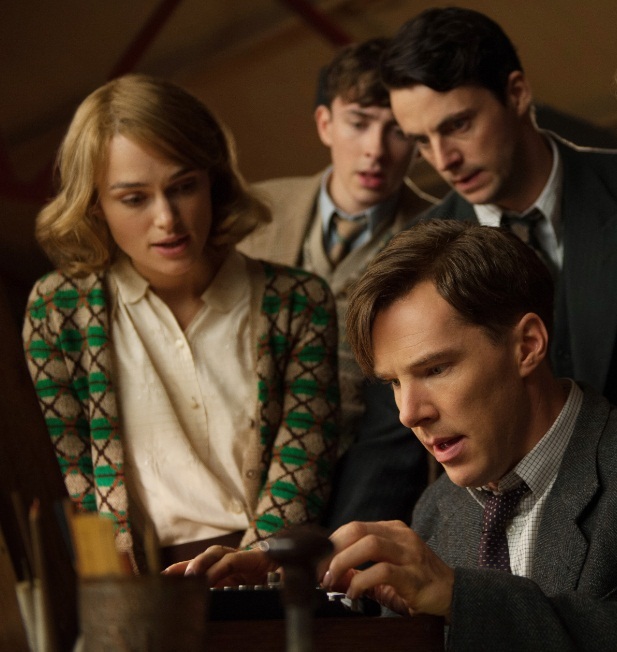 The picture above shows Keira Knightley playing Joan Clarke in The Imitation Game. Thinking of Maths at University? As Director of Studies at Newnham College, and through teaching many first year mathematicians, I experience quite a few students making the transition from school maths to university maths. Mathematics at university is not the same as mathematics at school. Most people who have not experienced maths at university think of maths as calculation, as working things out following certain rules and recipes. There is the expectation that there is always a “right answer”, a very specific end result of a calculation. However, maths at university is not (just) like that. Yes, there are still calculations to be done, but one of the main aspects of mathematics is a logical way of thinking and proving general results. Mathematics students learn to work and think on a more abstract level. They learn to make rigorous arguments leading from some very specific assumptions to a general result. They learn to question these assumptions and to find connections between different mathematical situations. This often has nothing to do with calculation at all.